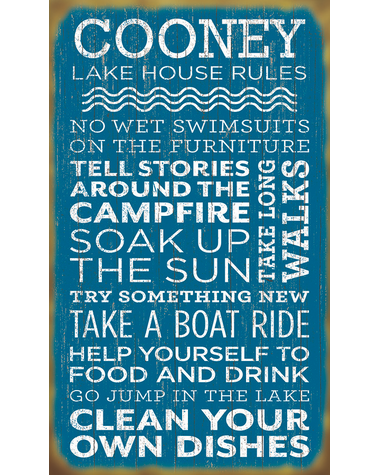 This “Lake House Rules Sign" serves as a gentle reminder to your guests that you are not running a hotel, while pointing out that the key to the lake house lifestyle is fun! Measuring 14"x24," this sign is hand-crafted and personalized with your family's name. These pre-weathered lake house signs are individually painted, hand-distressed and sealed with poly to prevent fading. Available in wood or metal and safe to hang outdoors. Very satisfied with quality and was just as expected. 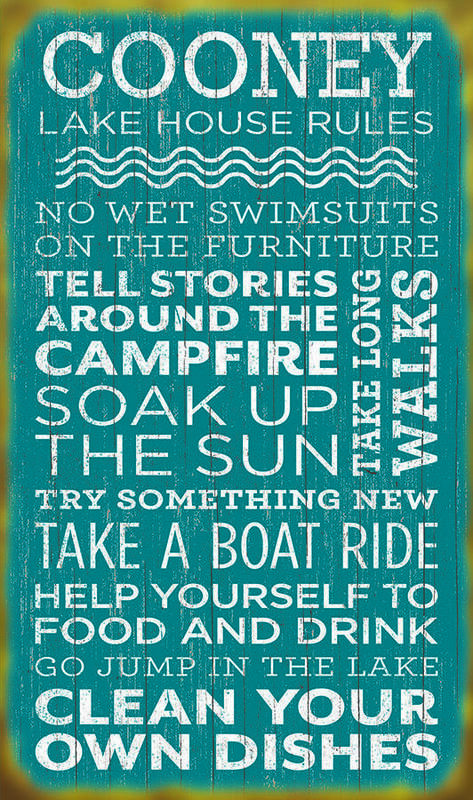 I love my lake rules sign, it is super cute! This is a very nice piece and much higher quality than I had expected for the price. I'll going to purchase one of the other signs custom lake signs for my lake house as well.